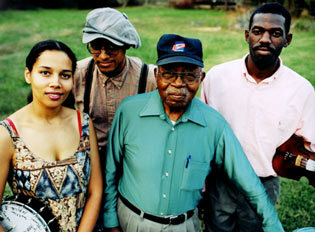 Recently backstage at the Petaluma Mystic Theater, reporter Mirissa Neff interviewed Dom Flemons and Rhiannon Giddens of the band Carolina Chocolate Drops. Sound Tracks, Music Without Borders is a PBS TV Show produced with KQED in San Francisco. Footage includes the Mystic theater and portions of their performance there. In this interview you will learn how Dom and Rhiannon met at the 2005 black banjo gathering in North Carolina where they met their mentor, the late Joe Thompson, who the New York Times credits as a musician who helped preserve the black string band.